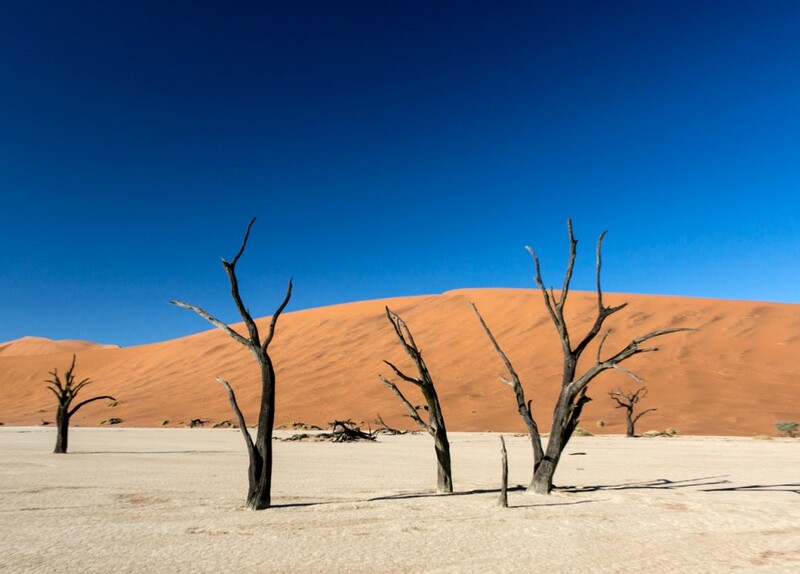 TRYING TO DESCRIBE what Dead Vlei looks like in words is no easy task. As the title of the post suggests, this is a surreal place, a bizarrely beautiful landscape that makes you feel like you’re strolling on Mars rather than planet Earth. 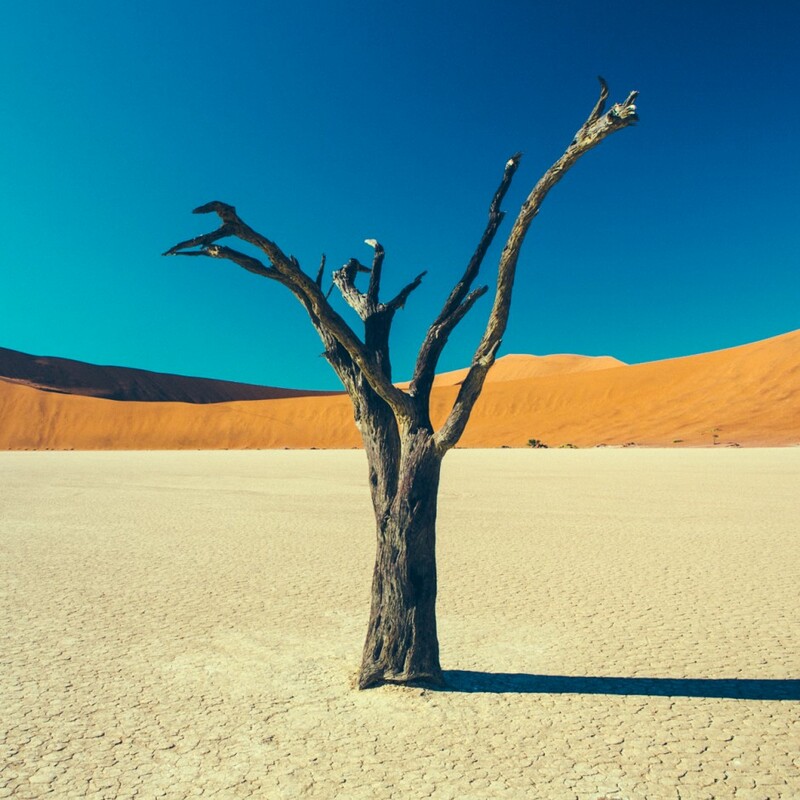 I got to visit Dead Vlei a few months back while road tripping through Namibia as a storyteller for ATTA’s Adventure Travel World Summit. 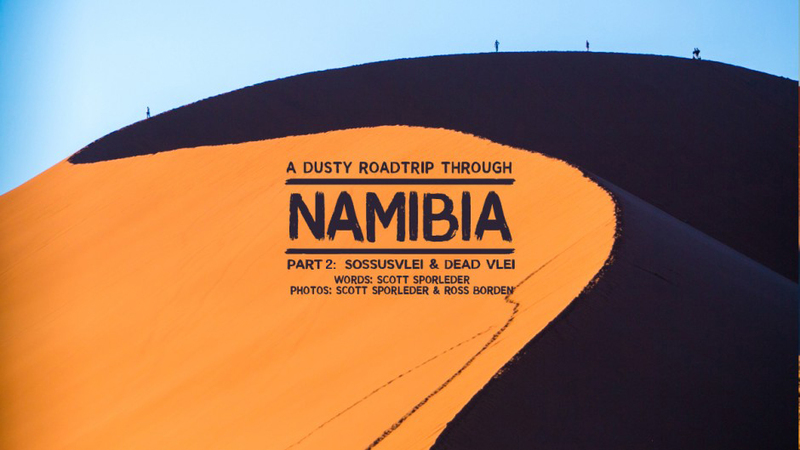 Matador co-founder Ross Borden and I made our way around the entire country, but it wasn’t until we reached the sand dunes of Sossusvlei — an area of salt pans and incredible mountains of red sand within Namib-Naukluft National Park — that we found ourselves dragging our jaws through the desert in awe. 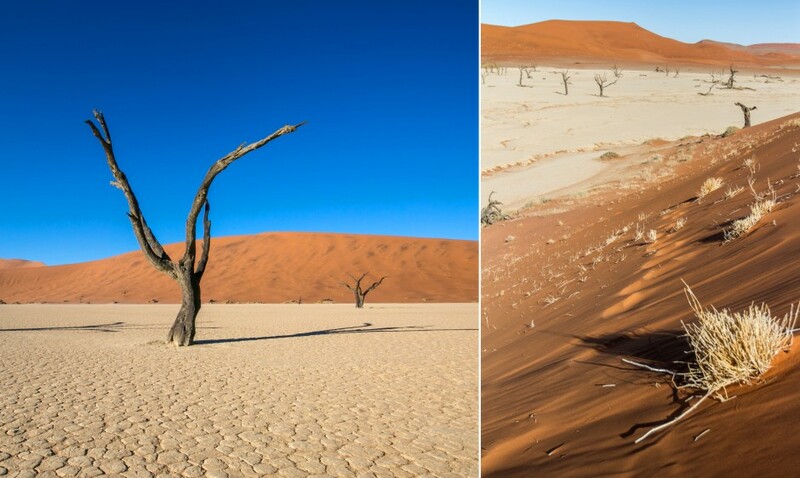 Here are 30 shots of this incredible place, found deep in the Namib Desert. 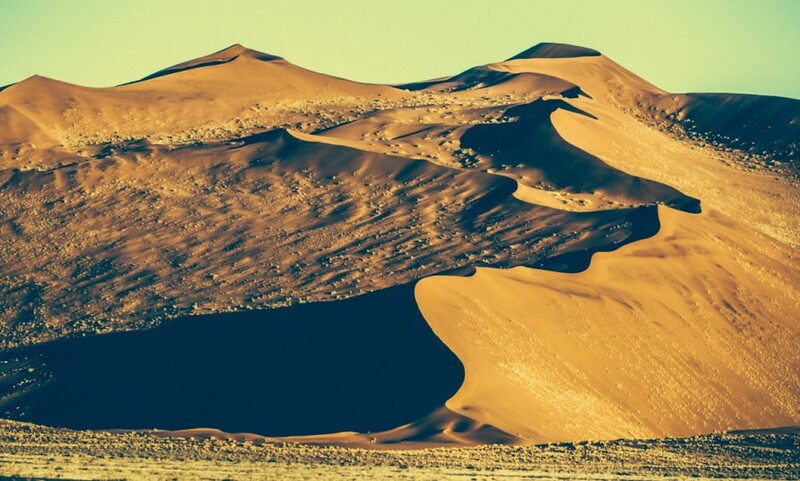 Even before we reached Sossusvlei, it was obvious we were traversing a vast desert. But we hadn't seen anything yet. 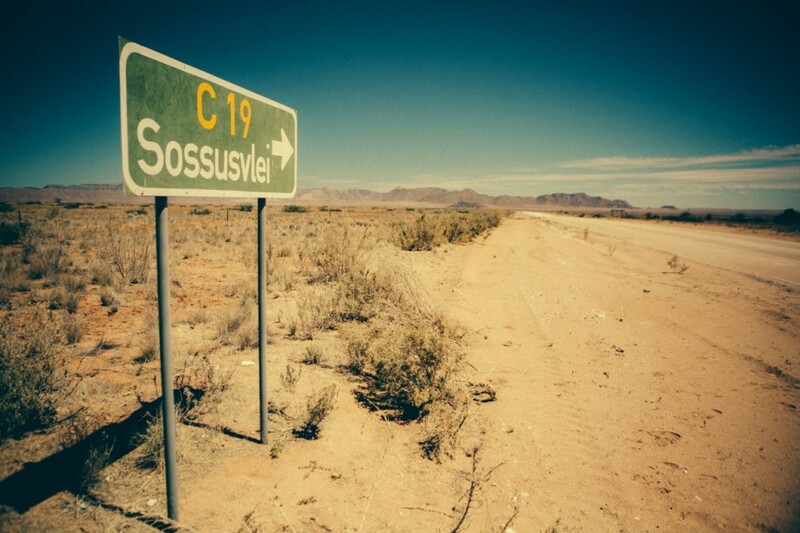 This sign marked the dusty way to Sossusvlei. Not every vehicle is capable of handling these types of conditions. 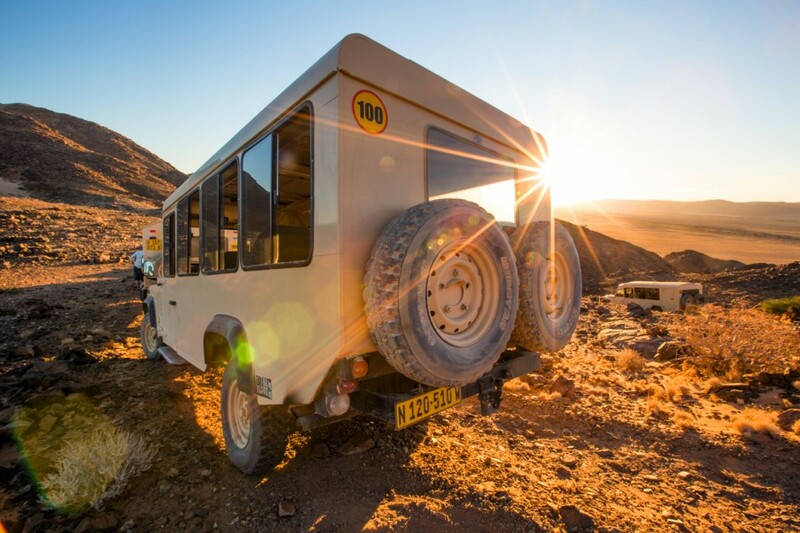 Our group traveled in these rugged beasts that were ready to take on anything. 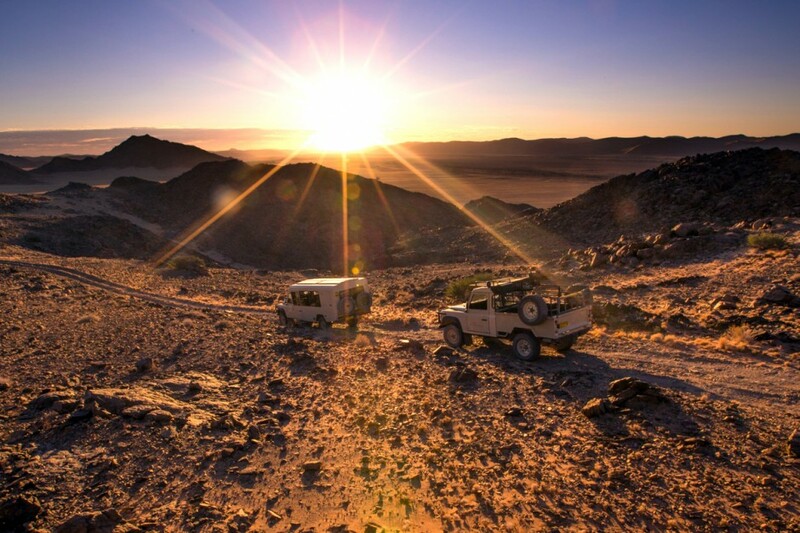 The sun sets on the Namib Desert. 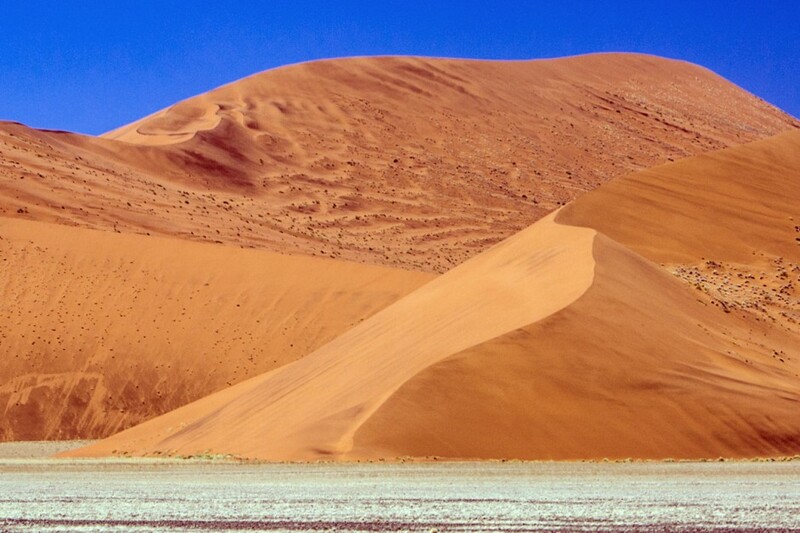 Traversing the terrain, slowly heading towards Dead Vlei. 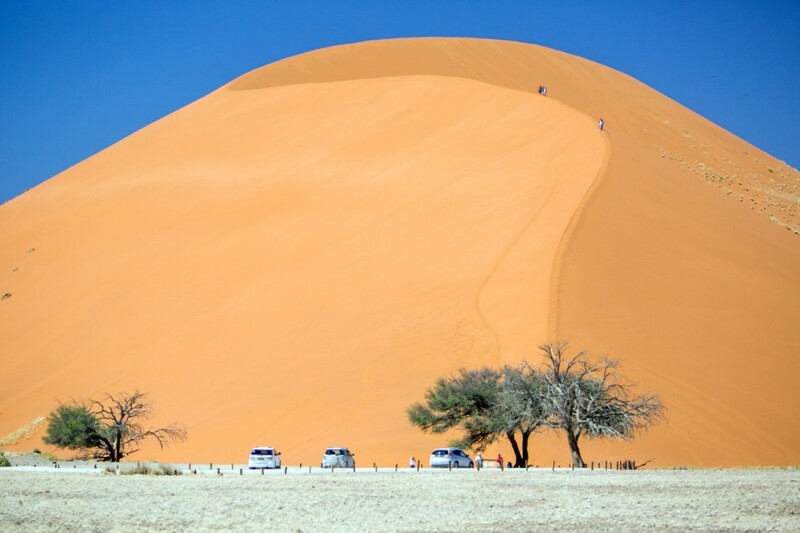 As you drive into Sossusvlei, the further in you go the larger the sand dunes get. 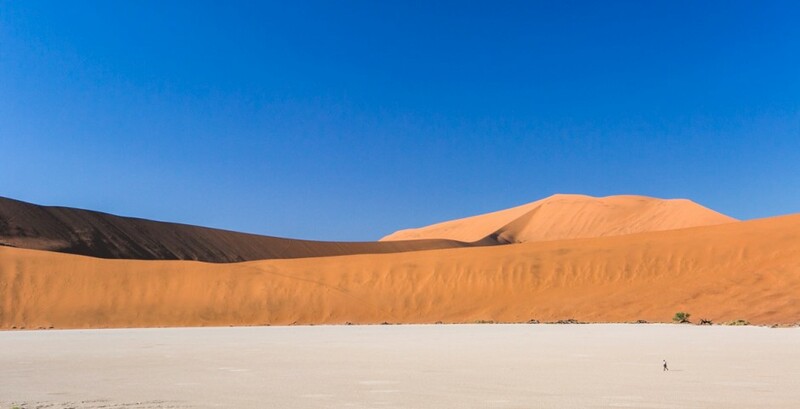 These are said to be the largest dunes in the world, with some of them reaching 400 meters tall. 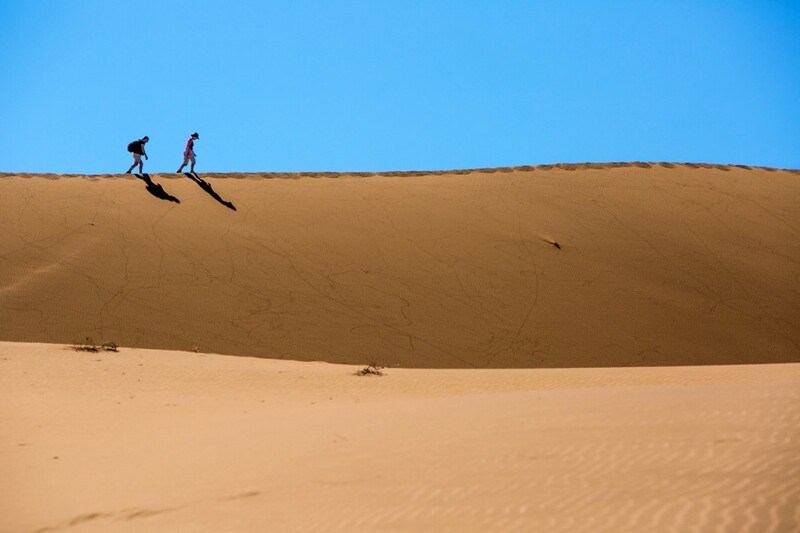 If you want to get the blood flowing, you can even climb some of the dunes. Although it’s no easy task—every step you take, it feels like you slide halfway back to where you just were. These two are either extremely brave souls or are in tiptop physical shape. 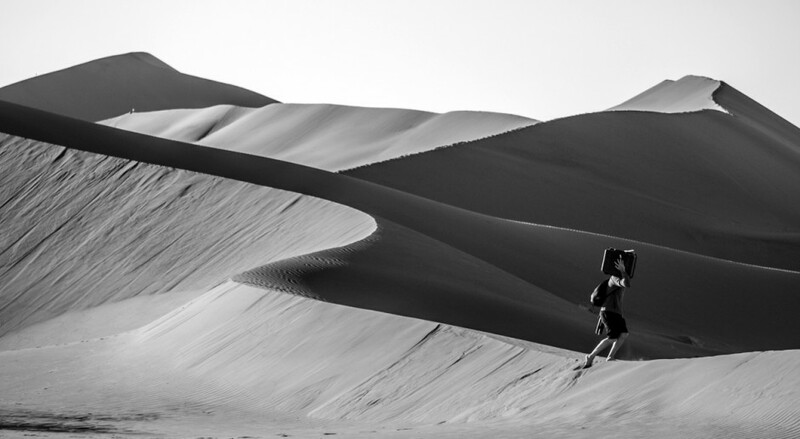 Ross makes his way over the dunes—carrying photo gear through the desert is no easy task either. 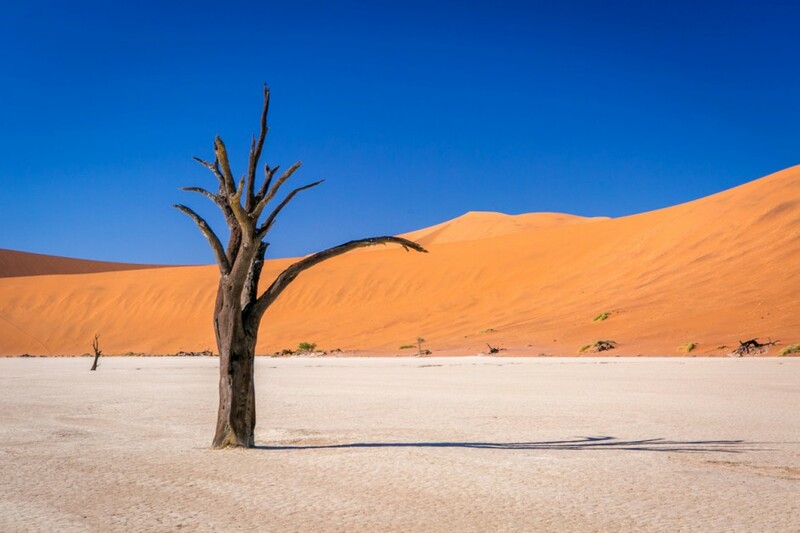 There it is, Dead Vlei. As I said before, it’s such a foreign-looking place that it’s difficult to describe the enormity and beauty of it. These camel thorn trees have been dead a long time. 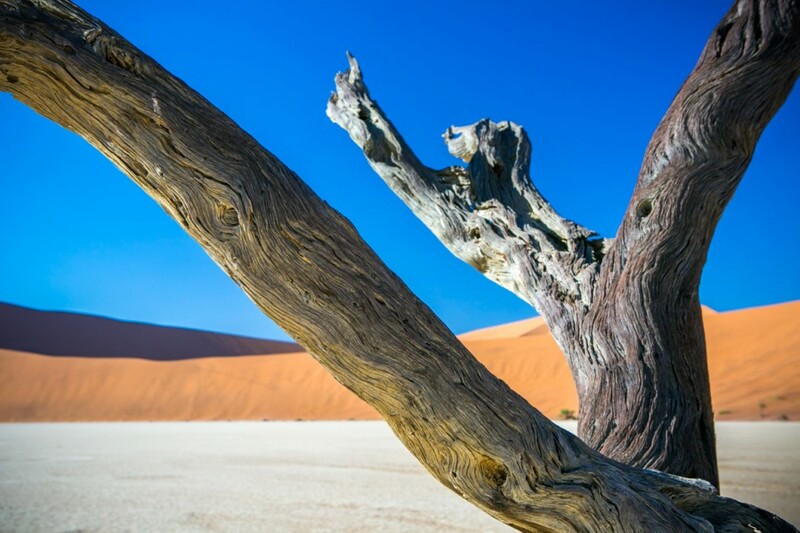 They are actually believed to be around 900 years old, scorched nearly black from the intense Namibian sun. 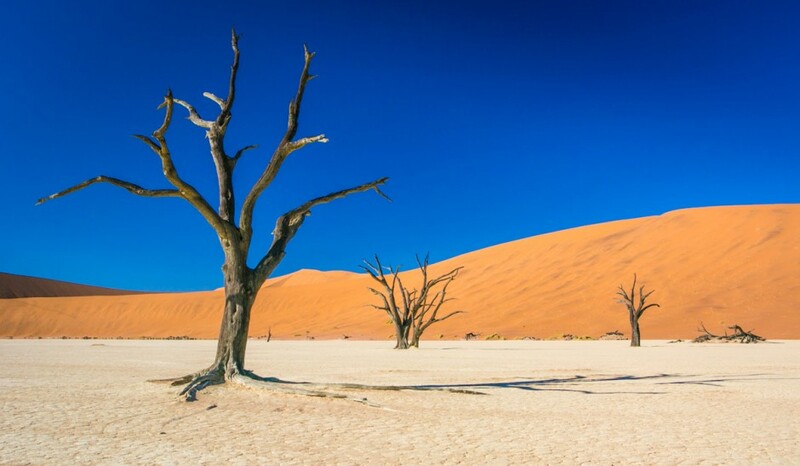 It’s nearly impossible to take a bad picture in Dead Vlei. Color? Black and white? Upside down? Go for it—I challenge you to mess one up. It may look like a dried-up ghost town, but this place is alive and well…you just gotta look closely and you’ll see traces of the little critters that call this land home. A photo of myself shooting some of the trees. 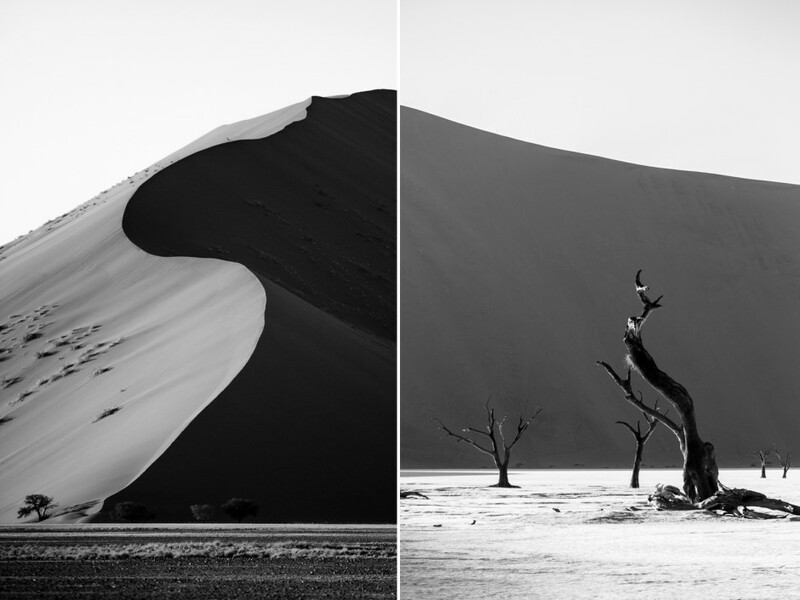 Don’t be fooled by the size of Dead Vlei—the giant white clay pan that it sits in is massive. 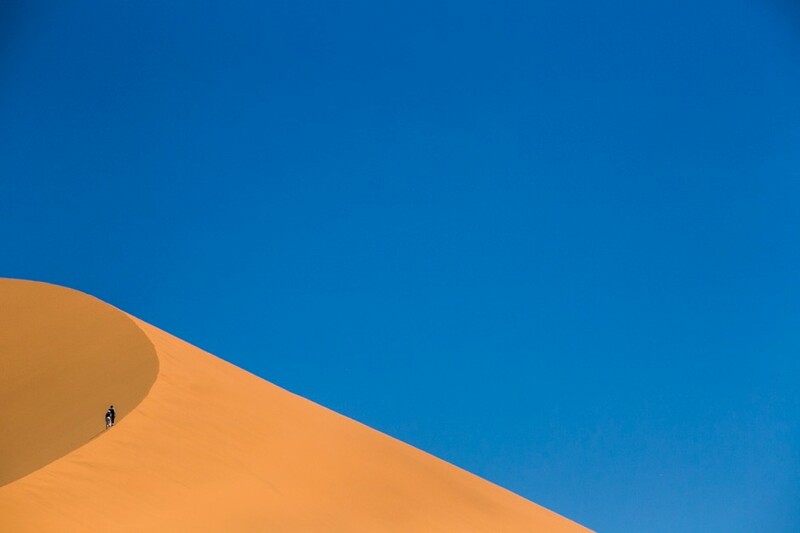 Just ask this guy, who was making his way to the base of Big Daddy, the enormous sand dune that sits behind the pan. I lugged a remote-control drone halfway around the world, so what better place to send it up for a flight? The scenes from the air are even trippier—just look at those shadows. Another one from the drone—look for video footage coming soon! I like this image because it gives an idea of the scale of these trees. Some of them are on the smaller size, but others are huge. Take a look at the couple sitting under one of the trees in the center. 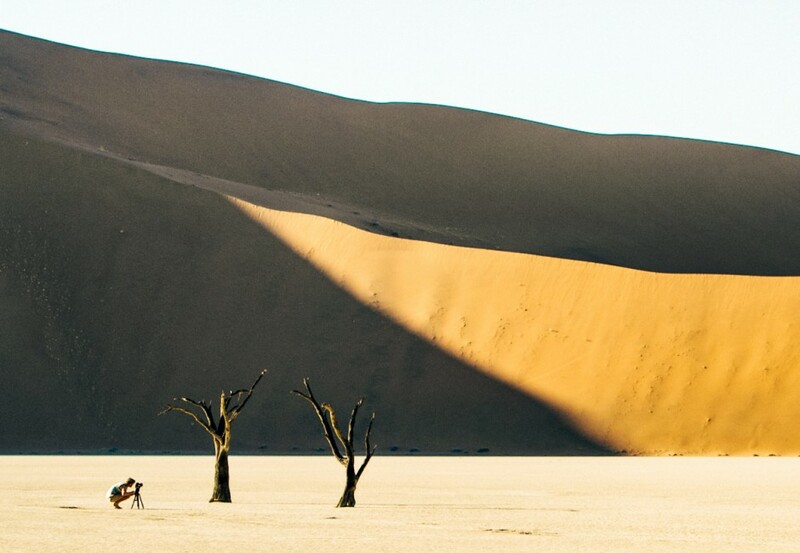 Making my way into Dead Vlei, ready to get some serious photography going. All around you, massive sand dunes rise from the desert floor. As the sun climbs its way into the afternoon sky, the ground starts to really heat up, sending mirages throughout most of your views. Just another dune, followed by miles and miles of other large dunes behind it. 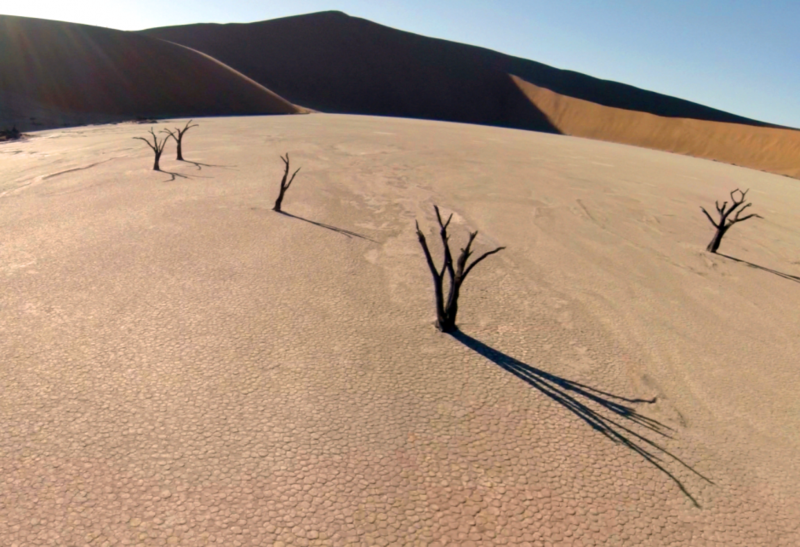 The craziest views of all are to be found from the air, when you fly over Dead Vlei. The large white pan towards the bottom of the image is the area itself. 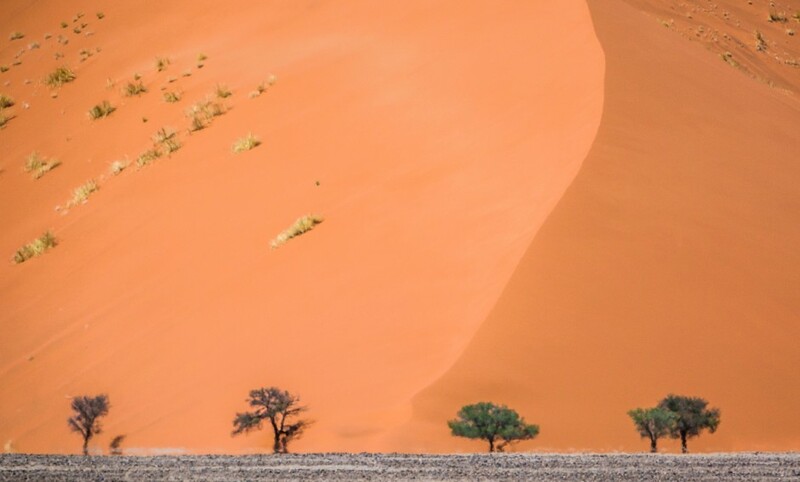 This image helps you visualize the size of the entire Sossusvlei. 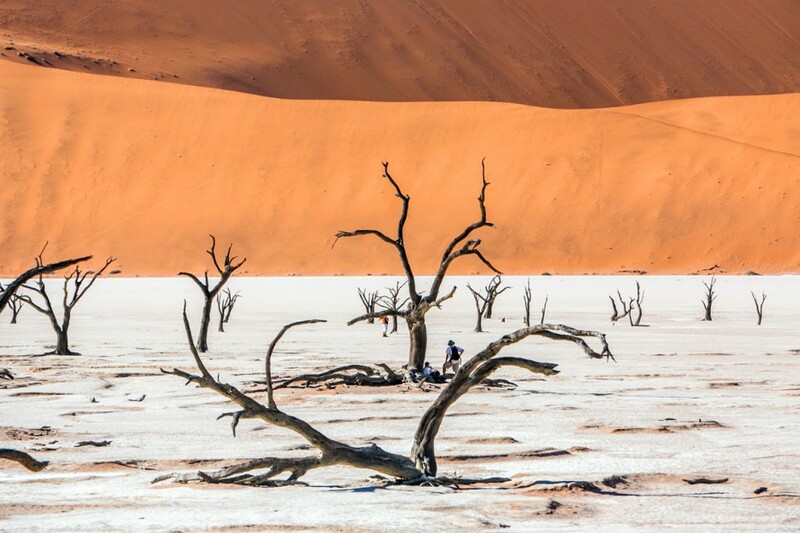 Dead Vlei is the large white pan on the right side of the image in the middle. 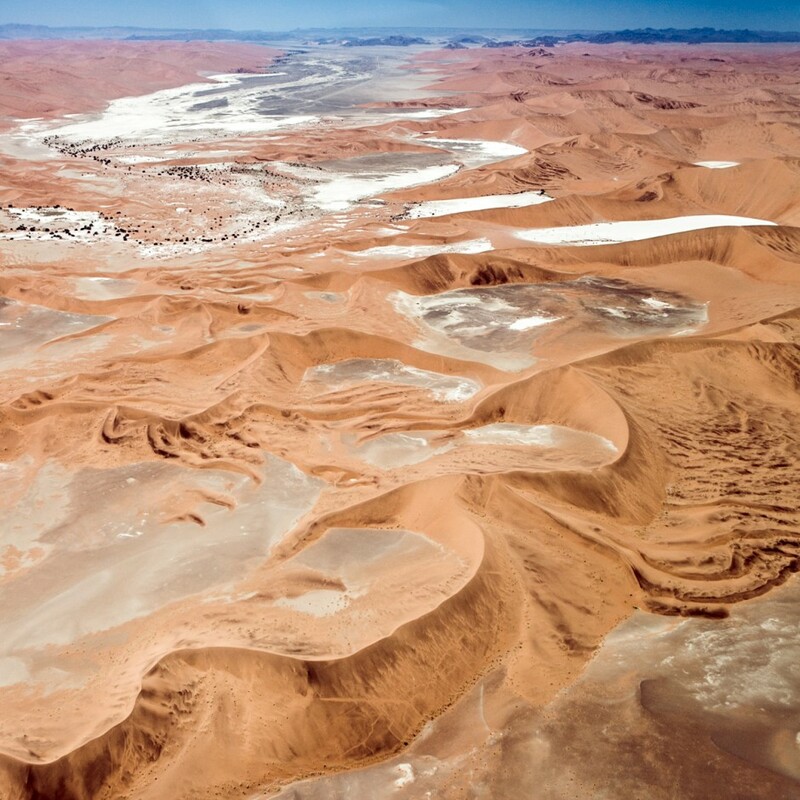 But one look in any direction and you can see the enormity of the Namib Desert and its dunes. 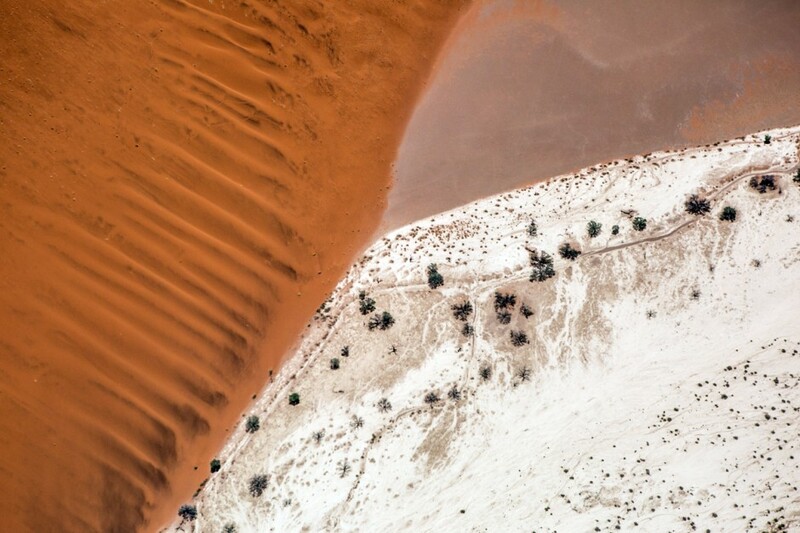 A detailed view of Dead Vlei’s pan from above. 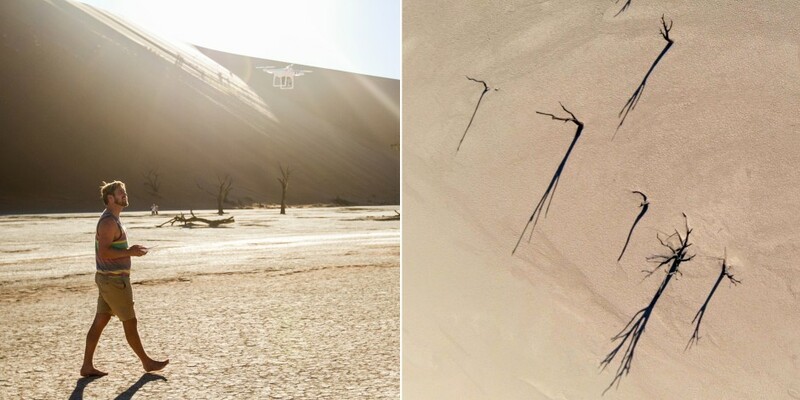 Take a look at the image on the right…can you see the two people walking? Look closely—it can be hard to distinguish which ones are trees and which are people. If you ever have the opportunity to visit this beautiful place, I cannot recommend it enough. 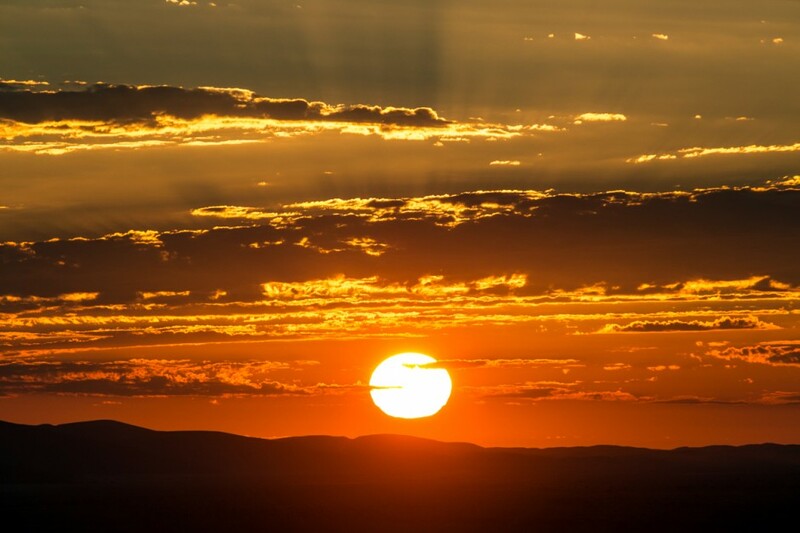 It truly is one of Mother Nature’s bizarre and beautiful creations.